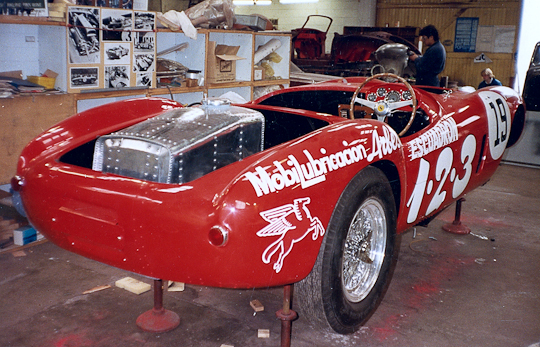 The Sears Craftsman Trophy for best restoration. 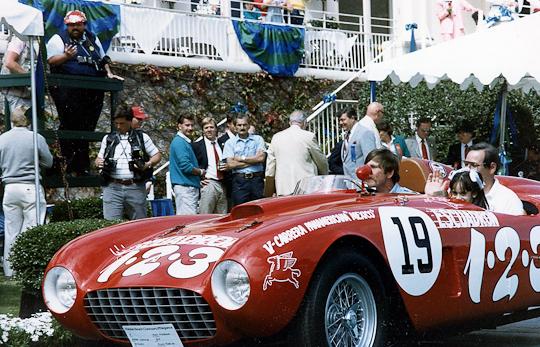 Laguna Seca Historics race weekend, Monterey California, USA, 1988. 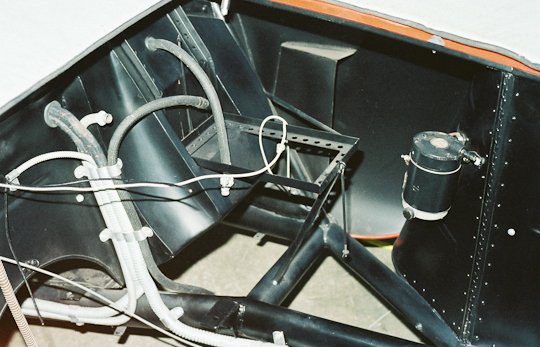 Chassis; welded-up tubular base ladder frame with elliptical-section main side longerons united by tubular cross members. 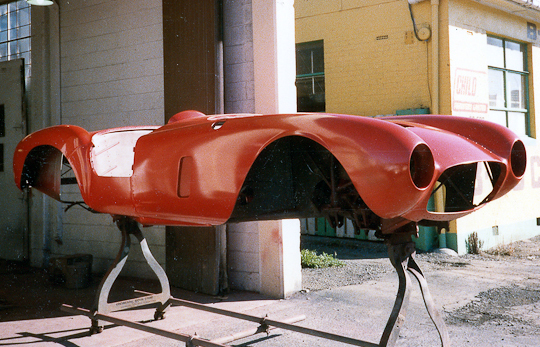 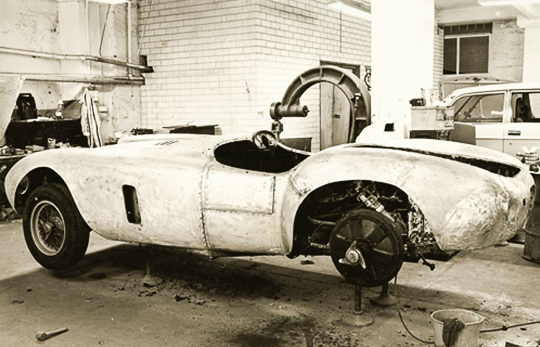 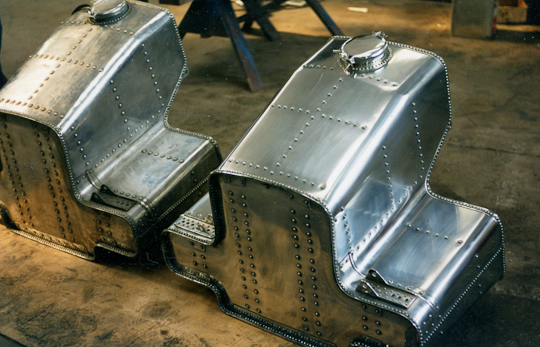 Coachwork; Aluminium skin attached to internal body frames integral with chassis — panels hand-beaten, formed, welded and rivetted together. 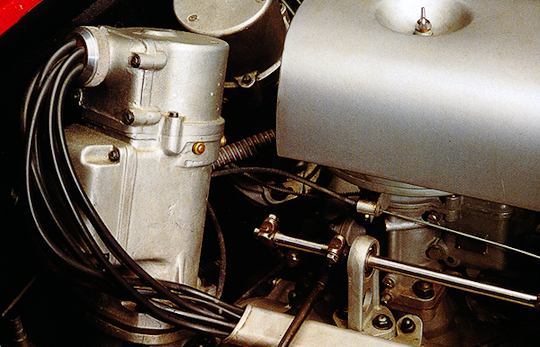 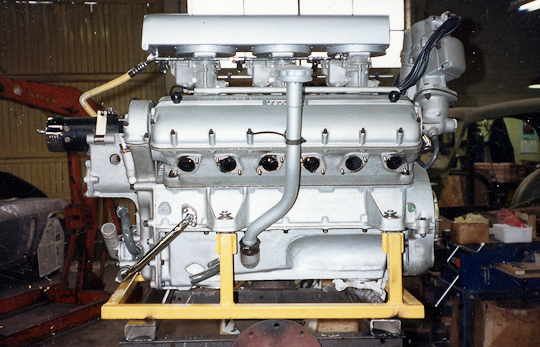 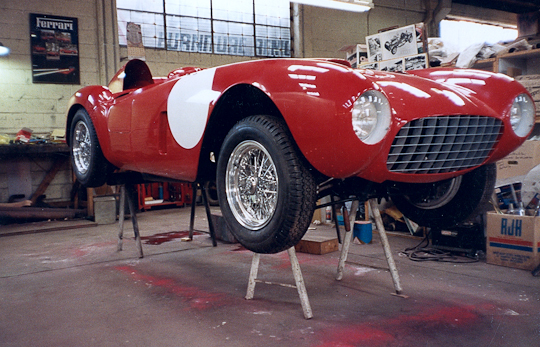 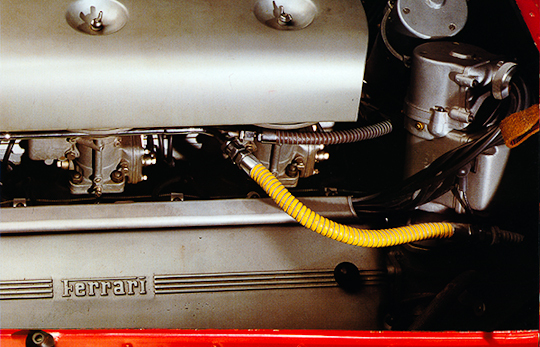 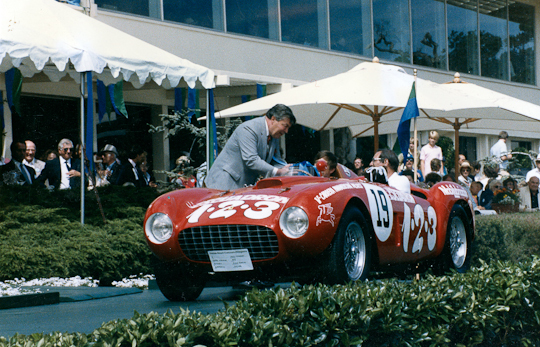 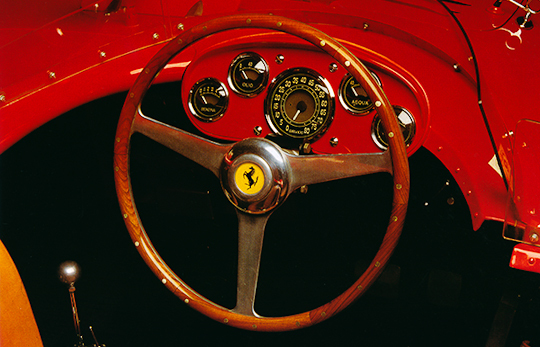 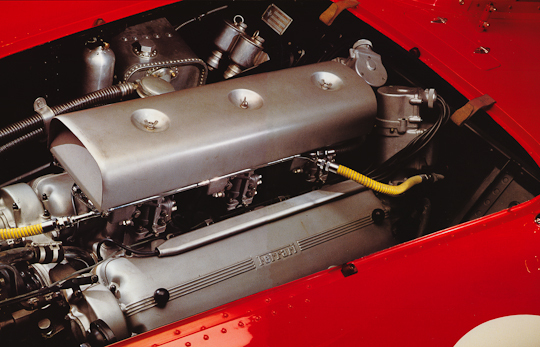 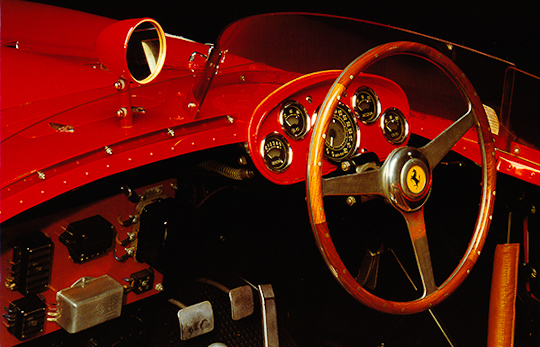 This Historic 4.9 litre V12 car, chassis number 0392 M, was one of the Ferrari factory team cars at Le Mans in 1954. 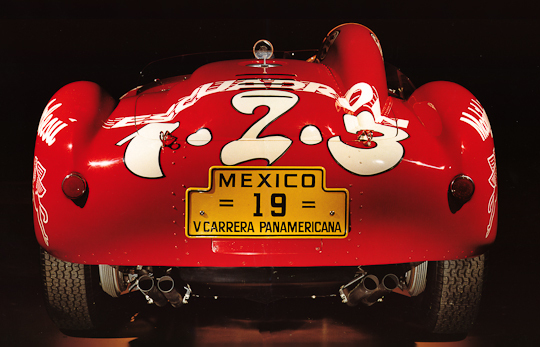 It failed to finish that event but later that year won the Carrera Panamericana, driven by Umberto Maglioli, who averaged 107 miles per hour over the 2,000 miles on Mexican public roads. 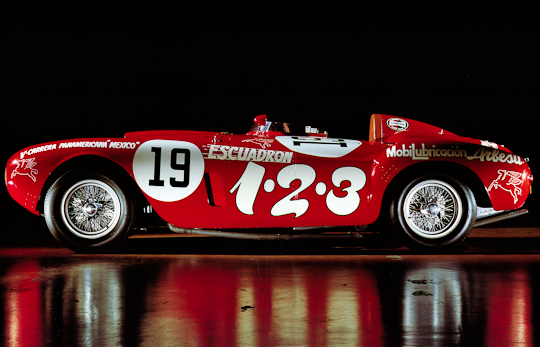 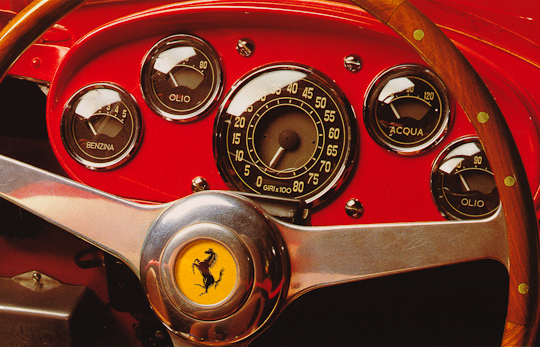 On the last 227-mile stage to the finish, the Ferrari averaged a staggering 138 mph! 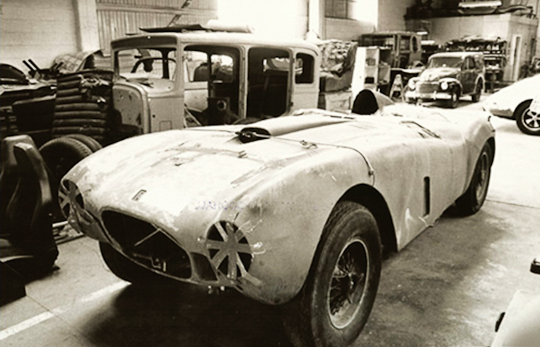 Like many obsolete race cars, this one suffered terrible indignities in middle age, the engine being replaced by a Pontiac V8 and the transaxle by a live axle. 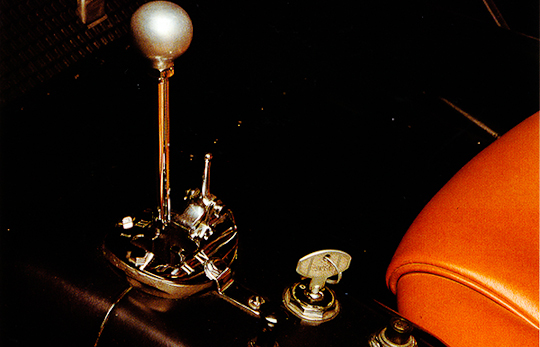 A later owner gathered up most of the original parts and in 1984 the car was sent to Auto Restorations for a full restoration to the form in which it won the Carrera. 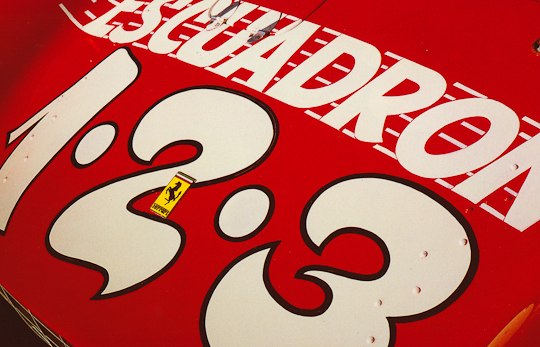 The “Escuadron 1-2-3” refers to the sponsor’s products, a range of household goods. 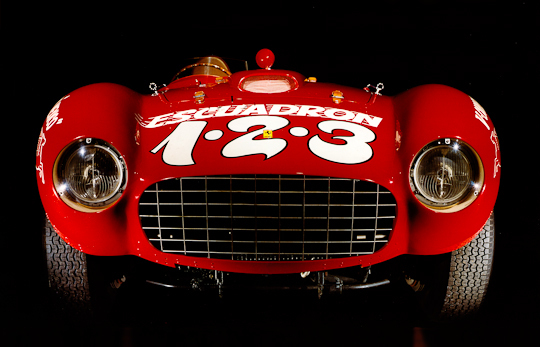 The fully restored car made its public debut at the Laguna Seca Historics in 1986 where it won the Sears Trophy for best restoration.